I’ve been doing a variation on this meme for as long as I’ve been blogging. I find it’s a nice way to frame up how I’ve spent my time over the course of the year, as it relates to my gaming life. And I love looking back on them the following year to see what’s changed. 1) What were you most excited about in the past year? That would be having my 2 weeks of vacation time I took off overlap nicely with the early game access and launch dates. Didn’t plan it that way (had to take whatever time off in December I could wrangle), but sure am glad it worked out! 2) What was the best thing you bought? 3) What would you like to have in 2012 that you lacked in 2011? A level 50 character. I suspect this will happen in January, even with only having post work and weekend paytime to advance my characters. 4) What was your biggest achievement of the year? Managing to get my level 25 speeder AND still keep the synthweaving at my level. Of course, that was only possible due to a tiny loan from my SO, which I was able to pay back within the same level. 5) What was your biggest failure? 6) What do you wish you’d done less of? Waiting in queues after getting booted off the server. But these are the realities of a new MMO launch so I am not bitter. I would also have been fine with less Huttball and more other Warzones. 7) What did you do in SWTOR in 2011 that you’d never done before? N/A. This year was my first year of playing SWTOR. 8) What was your favorite new place that you visited? Hmmm. I liked snowy Hoth quite a bit. But I am also growing fond of all the tombs on Dromund Kaas. 9) What was your favorite SWTOR blog or podcast? This is a hard one! I’m enjoying listening to/reading all the community sites you see on my blogroll and podcast list. That said, it’s been fun participating in a few TORreporter shows, and I hope to get to do more of that next year. Blog-wise, I am a big fan of the many individual player blogs that have been sprouting up that chronicle a player’s personal experiences playing the game, and you will see a ton of those folks on the blogroll. 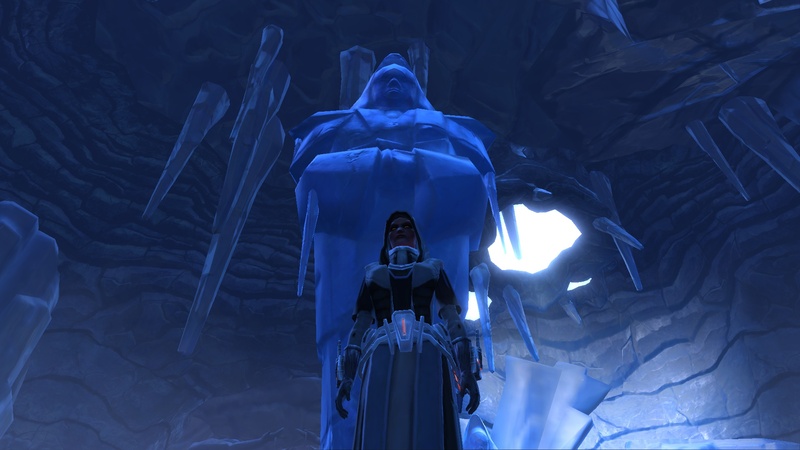 10) Tell us a valuable SWTOR lesson you learned in 2011.